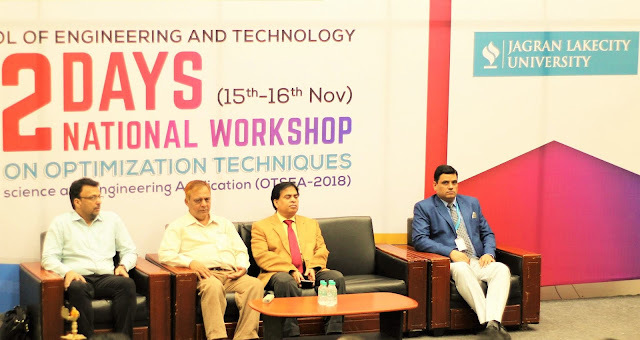 Home operations research National workshop on “Optimization Techniques in Science and Engineering Applications 2018"
National workshop on “Optimization Techniques in Science and Engineering Applications 2018"
The induction program for two days National Workshop on "Optimization Techniques in Science and Engineering Applications (OTSEA-2018)" organized by JLU School of Engineering and Technology was held on 15th November 2018. The inaugural program was graced by Dr Avanish Kumar Srivastava Director CSIR-AMPRI, Dr Kamal Raj Pardasani Professor MANIT Bhopal, Dr Mukul Shukla Professor MNNIT Allahabad and Dr Trilok Singh Bisoniya Director JLU SoET. Dr Bisoniya formally welcomed all the dignitaries present on the dais and participants from Madhya Pradesh & various other parts of the country including IIT-BHU, colleagues & students. He enlightened the significance of the workshop and its intentions with regards to providing a platform for the participants to learn and share the knowledge gathered through the teachings delivered by eminent speakers and discussions with the practitioners. Furthermore, chief guest of the occasion Dr Avanish Kumar Srivastava Director CSIR-AMPRI addressed the gathering and expressed his gratitude towards JLU SoET for hosting a program in the research field. Onto the scientific session, Dr Mukul Shukla Professor MNNIT Allahabad conversed about the basics of optimization techniques and their importance in mathematics, computer science and operations research. He stressed on various optimization methods which are trending now. 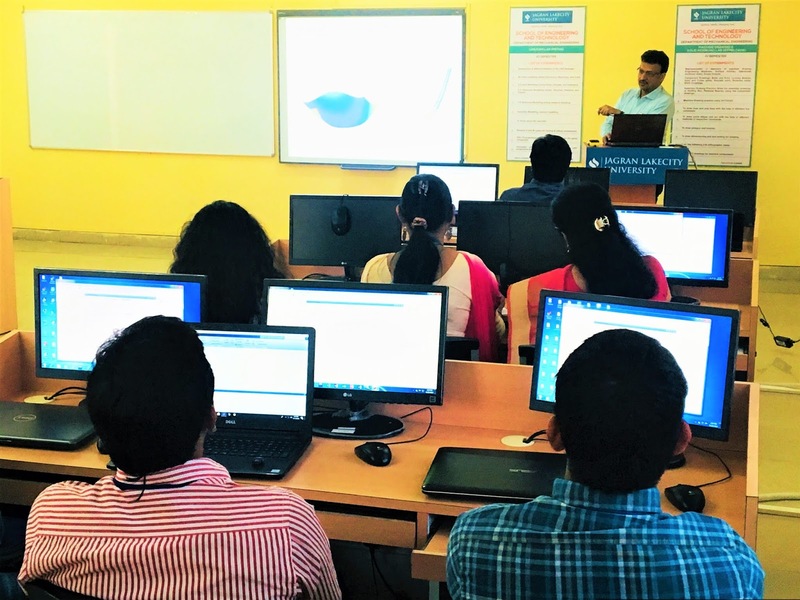 Sharing hands-on experiences with the participants in MATLAB he revealed and demonstrated various optimization tools available for the optimum utilization.